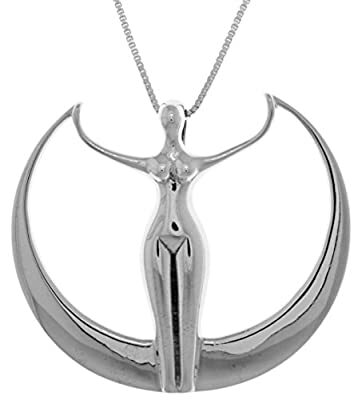 Putting it simply, this Sterling Silver Large Moon Goddess Pendant Necklace has an intricate, elegant beauty to it and will take pride of place in your jewelry collection! 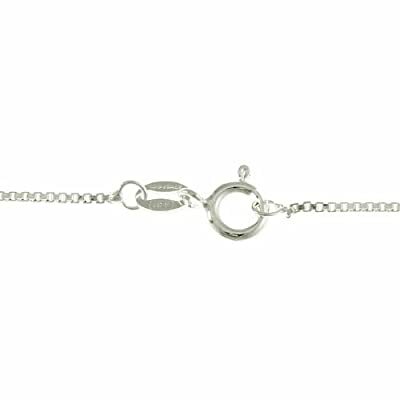 Stunning silver and a simple yet moving design which will have you embracing your inner goddess ever time you wear it. 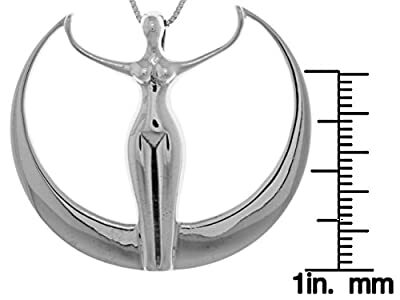 This Sterling Silver Large Moon Goddess Pendant Necklace is crafted of the finest .925 Sterling Silver. 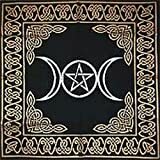 This particular necklace showcases a large Moon Goddess design. Inspired by artist Oberon Zell.